Out of Bryant’s Personal collection. This pen has been used and does show some sign of that, but not abused. It comes complete with box and papers and matching carbon fiber inkwell. There was the blue, black, solid gold and Chatterley Pens Ripples. 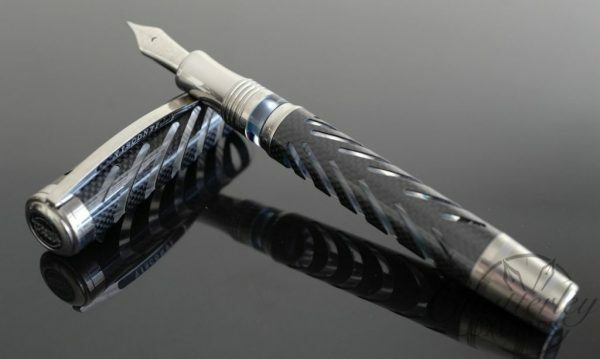 Visconti has now come out with the carbon fiber ripple. Numbered to 993 pens worldwide. The Carbon Fiber Overlay is made by the same people and the same factory that make the Carbon Fiber for Bugatti as well as other Italian Sports cars. The Carbon Fiber is in sheets and has to be kept frozen until it takes its final shape and then finished. 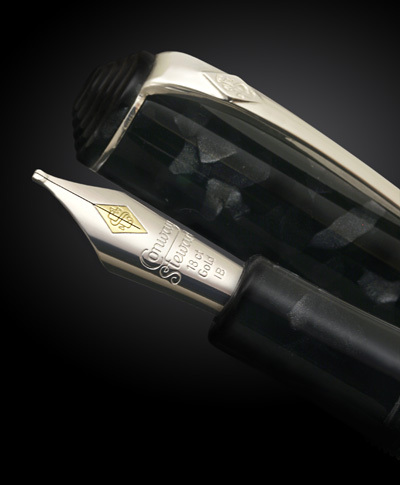 This is the first time Carbon Fiber has been used in an cut out overlay for a pen. 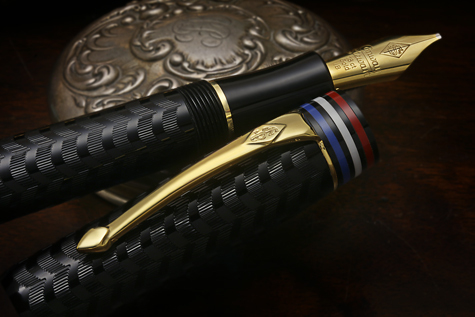 Carbon Dream represents a milestone in carbon fiber workmanship, for the first time in pen history fine carbon weaving has been cut and used as a detailed overlay for a pen. Visconti has crafted the carbon fiber into the characteristic design of the Ripple, a Visconti manufacturing icon. The transparent resin adds deepth to the pen and allows us to catch a glimpse of the famous mechanism of the Double Reservoir Power Filler. While the overlay is made from Carbon Fibre, all trims are made from titanium. 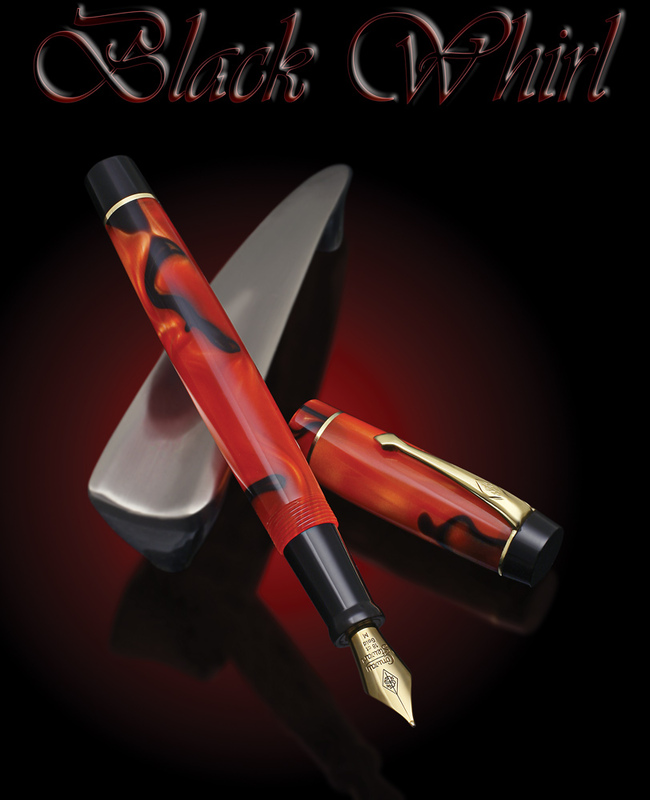 Thus this unique demonstrator pen joins two technological materials for excellence. Carbon Dream is an Italian parts company founded in 1993, a worldwide leader in the production of composite materials including carbon fiber. Initially its production was entirely dedicated to racing motorcycles accessories but in less than twenty years the company has become an un-disputed leader in the automobile, motorcycle, marine, and aerospace fields. Nowadays its most prestigious customers represent the best of luxury and technology such as Bugatti, Ducati, Perini Navi and Red Bull F1 Gran Prix team, to quote a few of them only. Carbon Dream embodies the story of passion for work, ability, constant excellence and perfection and a great know-how. 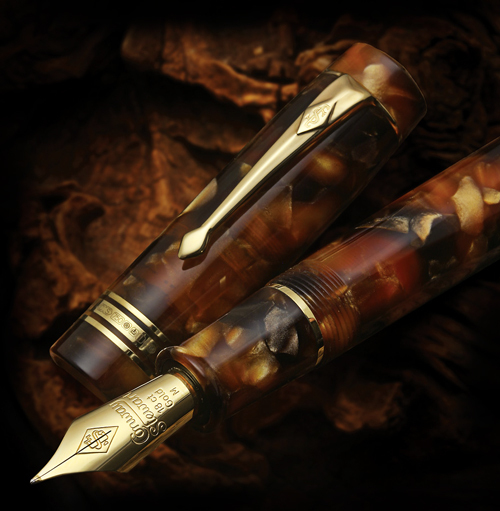 Visconti, founded a few years only before Carbon Dream, has a similar history made of great love for its work, of strong competence and excellence. Along the years Visconti has produced for Carbon Dream limited edition pens for the company’s corporate gifts. On the other hand the founders of Visconti and Carbon Dream share the same passions as well as a long true friendship. 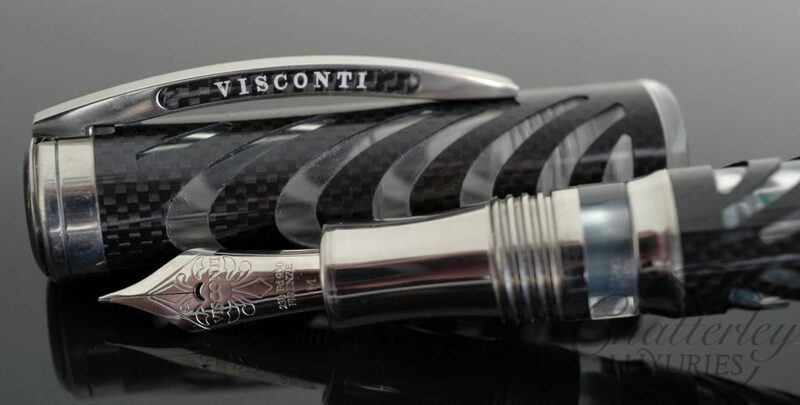 For the first time Carbon Dream has authorized Visconti to produce and sell a limited edition pen in precious carbon fiber, a representative product of the qualities of these two great companies.